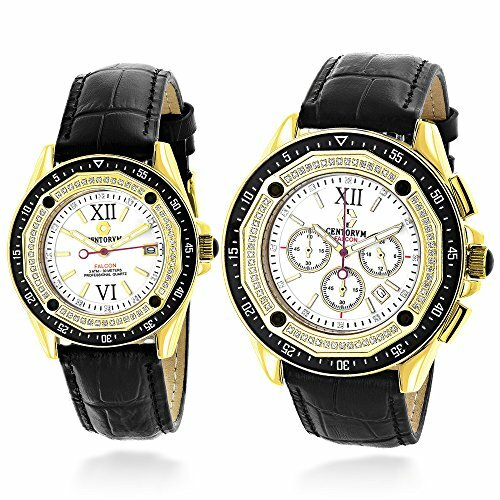 Matching His and Hers Watches: This 18kYellow Gold Plated Diamond Watch Set by Centorum includes these two matching diamond watches for him and her paved with 1.05 carats of genuine diamonds. 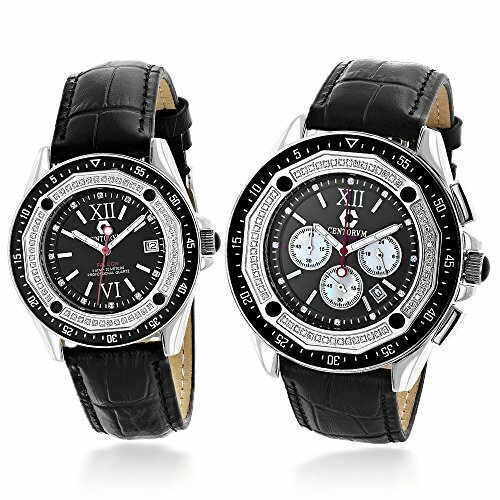 Both of these Centorum diamond watches are conveniently water-resistant to 30m (99 ft) and come with a 1 year manufacturer"s warranty. 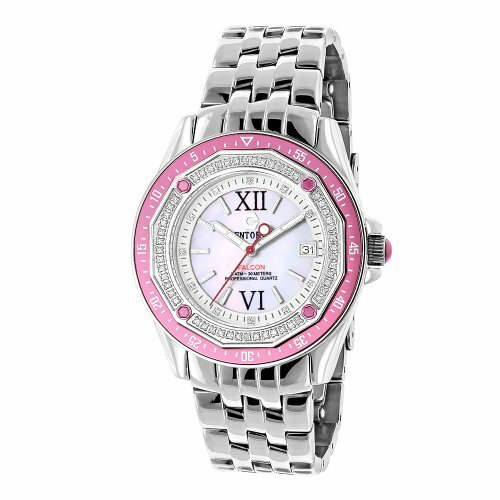 The Diamond Watch for Her features 0.5 carats of genuine diamonds, white dial with shiny stones marking hours, has Quartz movement and a date display window at a 3 o"clock position. The Diamond Watch for Him is paved with 0.55 carats of genuine diamonds, features white face with three white Mother of Pearl chronograph sub dials, and a date display window at a 4 o"clock position. 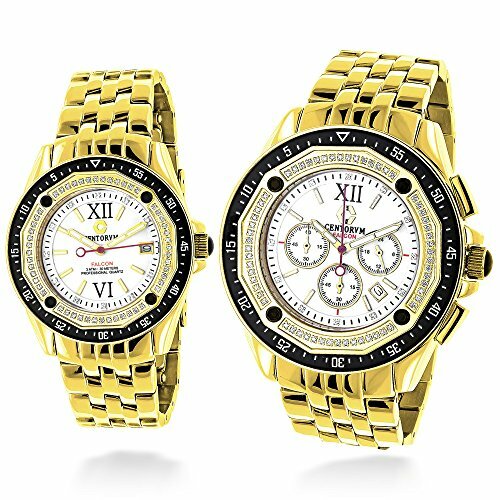 This Watch Set is ready for a gift giving.